Extremely long waiting times for spine surgery in Northern Ireland are having a negative impact on children's education, parents say. 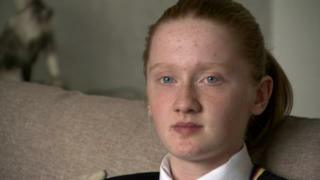 One County Down woman's 14-year-old daughter has been told she may have to wait a year for an operation on her severely curved spine. By that time Mia Brown, who has scoliosis, will be preparing for GCSEs. The Belfast Health Trust said it recently received £1.375m of funding to help reduce scoliosis waiting times. As it stands, there are 68 youths under the age of 19 on the list, with an average wait of around 12 months for surgery. The teenager had her name added to the waiting list last week. "There doesn't appear to be any planning ahead; once they are on it can take up to two years," said her mother, Joanne Brown. "If you need the operation now or within six months, waiting up to two years isn't good enough. "Then it is likely to happen in the middle of exam time. That doesn't suit and families either turn it down or the children miss a large part of school while recovering." Many of those affected are offered surgery in the run-up to, or even in the middle of, GCSEs and A-levels. In 2015, a piece of legislation quietly made its way through Stormont placing a legal duty on government agencies, including the departments of health and education, to co-operate when it comes to children's services. But Mia's mother said the problems have not been resolved and children are suffering longer than they should be. Spine curvature has to measure at least 50 degrees before surgery is considered. In the past few months, Mia Brown's spine curvature has increased from 39 to 55 degrees. Her back can be extremely painful. "If my school bag is on my back for a while it becomes sore - or if I am lying on my back," she said. "I don't want to have to wait much longer - I just want my spine straight." Joanne Brown is now looking at other treatment options, including travelling abroad, but said that could cost £40,000. Another family who spoke to the BBC but wished to remain anonymous said their child, who has been on the waiting list for nine months, was offered surgery in May, during the teenager's A-levels. The family turned the surgery down but fear doing so may result in a drop down the waiting list. The teenager, who is preparing to head off to university, has been advised by the Belfast Health Trust that surgery should happen in either England or Scotland before Christmas. 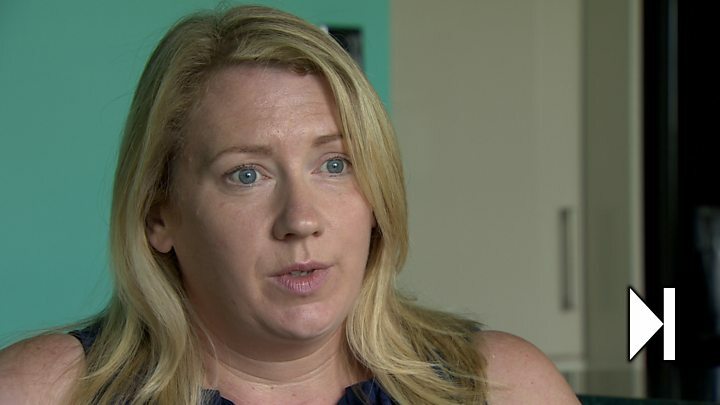 The Belfast Health Trust told BBC News NI it had received additional funding towards reducing scoliosis waiting times that will help to send more patients to England and Scotland. The money will also help fund the appointment of two additional surgeons in Northern Ireland. In 2017-2018, 43 of 56 spine surgery operations on Northern Ireland children or adolescents were performed in England or Scotland. The previous year, 34 of 62 such operations were performed in the Royal National Orthopaedic Hospital north of London. One Lisburn primary school principal criticised what he said was a lack of co-ordination between government departments when it comes to organising surgery for children. "There is absolutely no evidence there is joined-up thinking between health and education," said James Curran, of Park View School in Belfast. "I can name a number of children here in the school who, despite being off all summer on their holidays, have returned only to be informed of operations being scheduled for right now at the beginning of September. "That means they are going to miss more school."